Three Kingdoms – Idle Game is a brand new, Three Kingdoms-themed idle game where you’ll get to recruit your favorite generals into your army, and battle the armies from other, rival factions. Keep your army well-upgraded and you’ll be able to make your way up to the top. There are also tons of fun dungeons to raid, bosses to defeat, and even PvP arenas to conquer. To start, you’ll first need to create a character. There are no jobs or character classes to speak of in this game, but you’ll get to choose one of the three kingdoms to pledge your allegiance to, whether it is the Wu, the Shu and the Wei. You’ll also get to choose to play as a male or a female character. In terms of gameplay, Three Kingdoms – Idle Games feels a lot like the games created by Instantfuns (Think Pokemon Mega, Glorious Saga and Sword Art Online – the sort that I’ve greatly enjoyed playing way after the review’s completed in the past, and it’s nowhere similar to most Western idle games, where the tapping mechanism is greatly favored and that automation usually comes after… once you have enough cash to purchase a small amount of automation, that is. So, what this basically means is that the auto-combat in this game plays a central role in advancing your level. There is no need for your input when it comes to combat, but prior to that? Well… you may need to do a bit of “team managing” instead! You’ll need to spend a good amount of time recruiting officers and heroines to join your army, and with their help, you’ll then be able to defeat tougher bosses and complete more difficult dungeons. In addition to your generals, you can also use a variety of ways to upgrade your own hero’s equipment, mount, artifacts, relics and others, as long as you’ve unlocked the feature. Not to mention, the game actually has a marriage system that you can make use of to give yourself a boost. As you progress, you’ll gain access to even more upgradable aspects which will help to further bolster your Power rating to the next level. 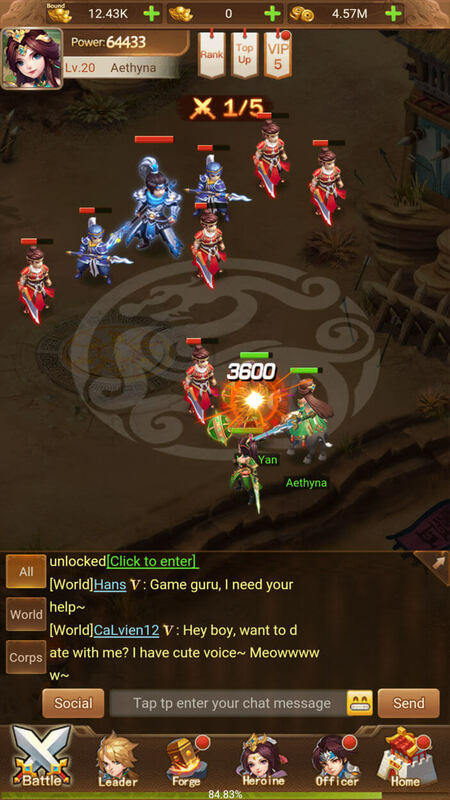 Three Kingdoms – Idle Games has a ton of PvE-oriented activities to enjoy, ranging from the usual dungeon raids to epic boss fights comprising of tens of players all working together towards a common goal. There’s even an Overcome mode which will have you fight an endless, levels-based battle until you hit the wall of defeat. The rewards you get from all the fighting, such as upgrade materials, game currency, exp and more, are also really worth it at the end. 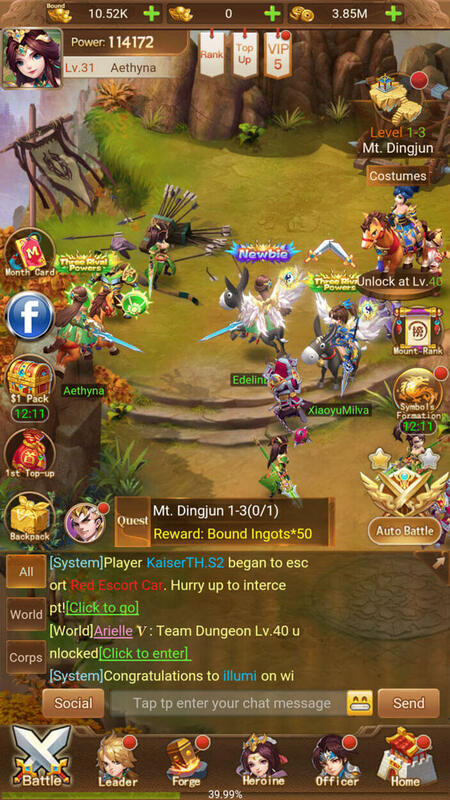 I’d like to point out that Three Kingdom – Idle Games, typical of an Asian game, rewards spenders by giving them plenty of convenience perks and perhaps some may think as huge advantages as they will have more dungeon chances and easier access to better grade generals, for instance. There’s also a tier-based VIP system that players can move up depending on how much they have spent in the game. Interestingly enough, I managed to get to VIP 5 without spending a single cent, and possibly, you can advance even further. This allows the free-to-play players enjoy some of the lower-ranked perks of a VIP, especially if they’ve invested their precious time into the game, to grind it out. The developers are also very generous with their freebies, giving players tons of rewards for doing certain activities or even by simply logging in. Although I have yet to unlock this feature at level 40, I believe the game does have a guild-like system called Corps for players to team up and enjoy some form of companionship as they play the game. There are likely exclusive features that will only be available to you after you’ve managed to join a guild. In addition to the amazingly addictive idle gameplay, Three Kingdoms – Idle Games also did one more thing right – it has some of the most brilliant art I’ve seen. The characters are very exquisitely designed and they are so adorable-looking too! Your mounts are just as adorable as your character and there are so many different mount appearances that you can eventually unlock. 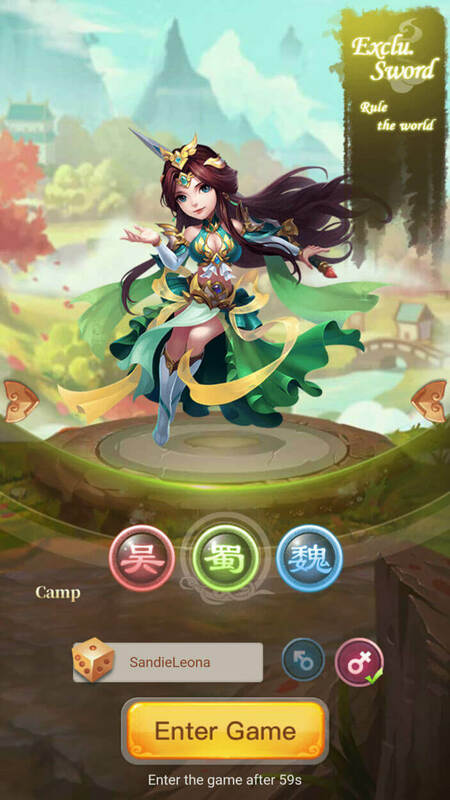 All in all, Three Kingdoms – Idle Games has a particularly addictive gameplay that is simply filled with fun activities to do, has an interesting and widely-popular theme, and a variety of nice and adorable art to enjoy. The game is really generous too, giving players plenty of opportunities to earn valuable items like bound premium currency. If you enjoy an idle game that has a gameplay similar to what Instantfuns is doing, then you’ll most definitely enjoy this one!